Recently, we got a chance to talk to Dalila Thomas, a Dallas based news producer for CW33, and creator of the blog, Starving On a Budget. 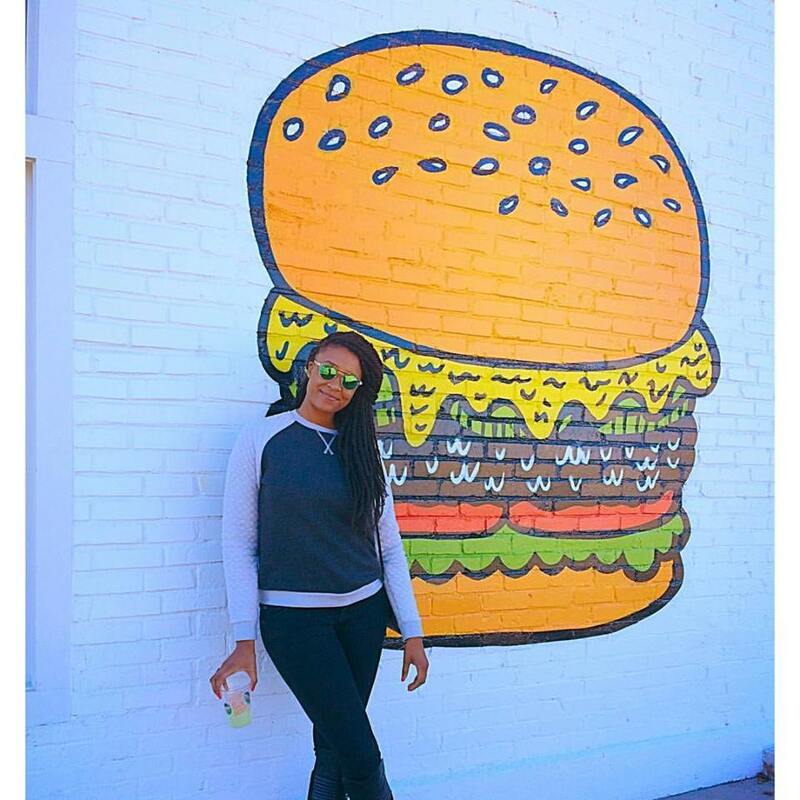 The St. Louis native shared with us some of her favorite places to eat in Dallas. Patrick: How long have you been in Texas and what brought you there initially? Dalila: I came to DFW in 2012 after getting my Masters because my sister lived here. It was either Dallas or Shreveport, LA (where my parents now live) so of course I chose Dallas. After nine months of not finding anything news related in the city, I moved to Louisiana for news producer job and a year later finally landed a job in my field in Dallas. I’ve been back since April 2014. Patrick: Every time I see your IG posts, it seems like you’ve found some amazing new eatery in Texas. How do you find all of these places? Dalila: Honestly Instagram! I think the app is amazing and I’m slightly obsessed! When I first got here I started following a lot of foodies and going to some of the places they recommended. Eventually I started finding some cool places on my own, but I owe a lot of it to what a find online. And through people I meet of course. In addition to my personal passion, I write and produce a food segment each week for my job so that helps me stay up on new places. Patrick: What have been your favorite places thus far? Dalila: It depends on what I’m feeling. I looooove grits so I’m always down to brunch at a place with awesome shrimp and grits like The Cedars Social or a new favorite of mine, Pink Magnolia. For a hearty meal I love Sissy’s Southern Kitchen. And because my sweet tooth is on ten all the time I suggest Cake Bar or Val’s Cheesecakes. They come in a tiny little jar which happens to be the perfect size. Just enough to change your life. Sidenote: I recently tried cactus fries for the first time at Armoury D.E., and they were quite delish. Patrick: We all know that Texas is well renown for its BBQ, are there any places you’d recommend? Any who, there’s a place in Garland that’s pretty good called III Fellas. And in Dallas, The Slow Bone. I personally don’t do BBQ spots too much because people don’t grill their meat with sauce on it, which I believe defeats the whole purpose. Patrick: Where would you recommend if someone wanted to try something new? A place that one wouldn’t normally associate with the traditional “Texas” style. Dalila: If it’s not southern comfort food, I’d have to say Italian. Now of course Italian isn’t new, but there’s a spot called Two Guys From Italy that’ll have you questioning any Italian you’ve eaten before. Also Jamaican Gates in Arlington has some amazing jerk! Patrick: What would you say to those with more picky palettes? Dalila: For someone with a pickier palette that wants to get a taste of Texas I would suggest three things you can’t really go wrong with: a burger, tacos, and BBQ of course. If you don’t go to one of the BBQ spots I listed above, you can also try Pecan Lodge in Deep Ellum. If you’re looking for another taco spot Fuel City in Dallas is pretty good as well. Patrick: Is there a way for people to keep up with you as you travel, find new places and experience new things? Dalila: I’m working on the launch of my blog, but right now Instagram is the best way to keep up with where I am and what I’m stuffing my face with. Patrick: Anything else that you’d like to share? Dalila: Food is love. Food is life. Don’t let anyone tell you any different!